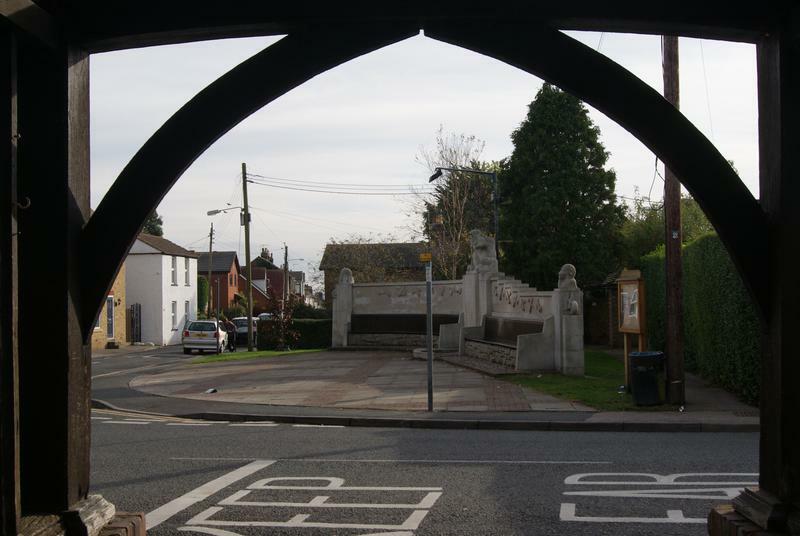 Opposite the All Saints Church. Figure of Zeus supported by plinth with wall. Plinth with projecting centre with dedication and recessed sides with names. Incised aircraft depicted below dedication. 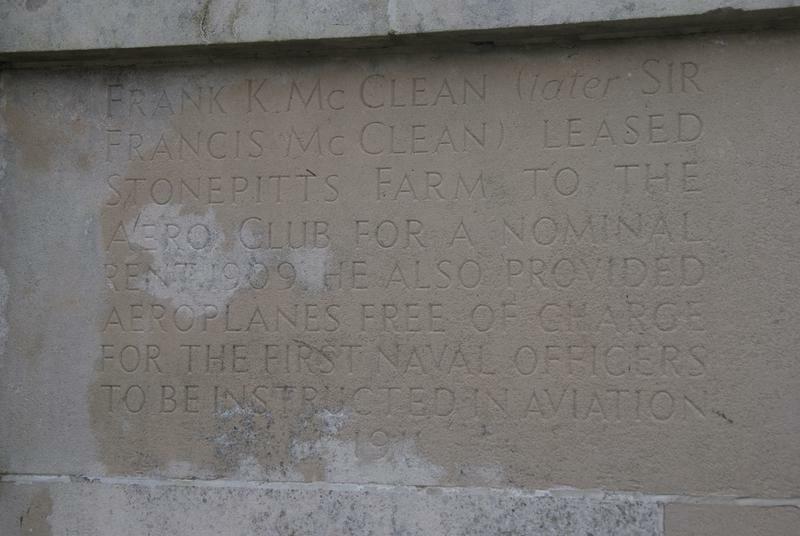 Wall depicting relief of eighteen early aircrafts in flight extends from rear of plinth. Whole set in paved area. 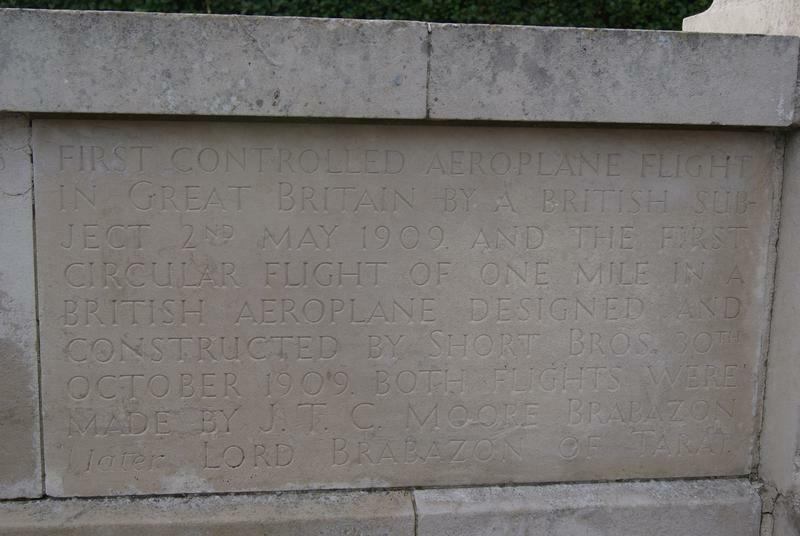 Comments: Sir Winston Churchill, Lord Brabazon of Tara (formerly J T C Moore-Brabazon) and Hugh Oswald Short served as patrons for the memorial. They issued a call for support of the idea in a letter to The Times in 1950 (see references). Later Sir Francis McClean also became a patron. The Times 5/ 11 February 1950 Appeal for contributions made by the patrons of the memorial, Sir Winston Churchill, Lord Brabazon of Tara and Hugh Oswald Short.